Zombie Rockers is an example of a match three game like Zuma, Luxor and Pirate Poppers. The objective of the game is to prevent a chain of balls of different colors rolling along a given path from reaching the end of the path. The player carries two balls that can be fired into the rolling ones. 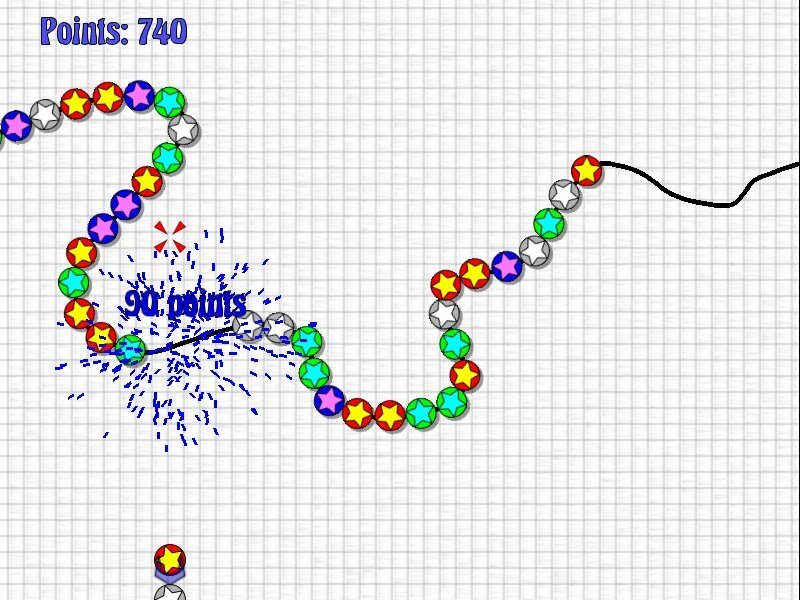 When a ball thrown by the player hits the others and form a chain of three or more balls of the same color they explode. When some balls explode this could trigger a chain reaction eliminating others. The player must eliminate all the balls to win.